NJ Weekend Historical Happenings: 11/25/17 - 11/26/17 ~ The History Girl! 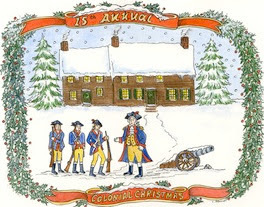 The Friends of the Jacobus Vanderveer House are hosting a Liberty Tree lighting on Friday at 7:00 pm to kick off the 15th Annual Colonial Christmas celebration, which begins Saturday, November 25 and continues Sunday, November 26 and Saturday and Sunday, December 2 - 3. The Liberty Tree lighting, sponsored by Investor’s Bank, is free to the community and features caroling with the Harmonium Choral Society, hot chocolate and hot pretzels, and a visit from Santa. The tree, decorated in patriotic red, white, and blue lights, commemorates the Jacobus Vanderveer House's (and the community's) Revolutionary War heritage during the holiday season. The Jacobus Vanderveer House is located at 3055 River Road (in Bedminster’s River Road Park), Bedminster, NJ. For more information, call 908-396-6053 or visit www.jvanderveerhouse.org. The grand opening of the Little Free Library at Tuckerton Seaport & Baymen's Museum will be at 12:00 noon on Saturday. Located on the Visitor Center front porch, the Little Free Library provides a neighborhood sharing program for book lovers of all ages. Participating is easy. Just stop by the Visitor Center any time and pick up or drop off an adult or children's book. The Little Free Library will be open 24/7. For more information about the Little Free Library and the grand opening, please click here: http://www.tuckertonseaport.org/little-free-library-at-tuckerton-seaport. The Tuckerton Seaport is located at 120 West Main Street, Tuckerton, NJ. The Little Free Library is a national program created to build community, spark creativity, and inspire readers. The Seaport is proud to be a registered location for a Little Free Library. This program has inspired over 50,000 book exchange locations across the country. To find other locations, please visit the Little Free Library World Map at https://littlefreelibrary.org/ourmap. Relive the memories of Christmas past on this self-guided evening tour of a selection of Cape May's finest Bed and Breakfast inns and private homes, specially decorated for the holidays, with a unique theme at each location. Innkeepers will share a presentation at each location. The tour also includes a visit to the Carroll Gallery at the Emlen Physick Estate where you can see "An Old-fashioned Christmas" exhibit, receive your souvenir gift, and enjoy warm beverages and holiday treats. Adults $20 and children (3-12) $15. Tour runs from 7:00 - 9:00 pm. Purchase tickets at the Emlen Physick Estate. located at 1048 Washington Street, Cape May, NJ. Sponsored by the Mid-Atlantic Center for the Arts & Humanities (MAC). For more information, call 609-884-5404 or 800-275-4278 or visit www.capemaymac.org. Bring the kids to the Physick Estate on Saturday for a trolley ride around Cape May with stories and songs led by Mrs. Claus. Then, Santa will greet children with a sweet in the Carriage House. Adults $10 and children (ages 3-12) $8. Trolley rides at 11:00 am, 11:45 am, 1:00 pm, and 2:15 pm. Advance reservation strongly recommended. Sponsored by the Mid-Atlantic Center for the Arts & Humanities (MAC). For more information and to reserve tickets, call 609-884-5404 or 800-275-4278 or visit www.capemaymac.org. Sleigh bells will ring when Howell Living Farm holds its annual Thanksgiving program featuring free horse drawn hayrides, a wreath and sleigh bell sale, and a special children's craft program. Horse drawn hayrides (or sleigh rides!) will be offered throughout the day. There is no charge for the rides, but everyone is encouraged to bring a non-perishable food stuff to donate to local area food banks as a thank you for the wagon ride. Monetary donations to the food bank are also welcome. Sleighbells will be sold throughout the day by The Friends of Howell Farm to benefit the Farm's restoration projects. The bells are made by harness maker Mervin Martin, who makes the harnesses and sleigh bells worn by the Farm's workhorses. Brass and nickel plated bells will be sold in straps of six, twelve, and twenty bells. Reproduction cast bells, bell door ringers and bell ornaments will also be available. Other holiday items featured at the annual fundraiser include fresh evergreen wreaths and door hangings; baskets of the Farm's flour, honey and maple syrup; and beautiful handmade items sewn by the Pleasant Valley Stitchers. A Colonial Café, an array of holiday merchants, musical performances, reindeer, gingerbread workshops for children and a holiday decorating workshop for adults are just a few of the highlights in store for visitors to the 15th Annual Colonial Christmas at Bedminster’s historic Jacobus Vanderveer House & Museum, sponsored by Bevan, Mosca & Giuditta, P.C. ; Investors Bank; Meeker Sharkey & Hurley; The Provident Bank Foundation, Yolanda A. Cillo, M.D. ; and Mr. & Mrs. Matthew Molé. The Friends of the Jacobus Vanderveer House invite visitors of all ages to experience Christmas past and present when the circa 1772 Dutch Colonial home opens its wreath-clad doors Saturday and Sunday, November 25 - 26 and Saturday and Sunday, December 2 - 3. Hours are from 10:00 am - 4:00 pm daily. The popular fundraiser features tours of the museum, which will be decorated for the holidays by Lynn and Jessica Angelone of Angelone’s Florist in Raritan, Gail Whiting of Design Consultants in Bedminster, Susan Miniman of Susan Laura Interior Design in Bedminster along with her daughter Sara Miniman, broker/manager of Weichert’s Bedminster office and Jeanne Galbraith, of Mendham. Visitors will also enjoy holiday shopping with boutique merchants and artisans; Colonial musicians, re-enactors and crafters; pet photos with Santa Paws; military demonstrations; a reindeer program; Santa visits; a gingerbread house workshop for children; and a holiday decorating workshop for adults. Laura Clare Holiday Decorating Workshop for Adults – Decorate your own sweet-smelling lemon cypress tree under the guidance of acclaimed floral and event designer Laura Clare. 1 ½ hours. $55 per person. Register at www.jvanderveerhouse.org or call 908-396-6053. Admission is $10 (children 12 and under, free). The house is open from 10:00 am - 4:00 pm on Saturday and Sunday. The Jacobus Vanderveer House is located at 3055 River Road (in Bedminster’s River Road Park), Bedminster, NJ. The entrance to the house is via River Road Park. For more information, call 908-396-6053 or visit www.jvanderveerhouse.org. The Montague Association for the Restoration of Community History (M.A.R.C.H.) will be opening the historic, holiday decorated Foster Armstrong House for free tours in November and December of 2017. This year’s Old Fashioned Holidays theme is “The Nutcracker Suite” and we invite you and your family to visit the beautifully decorated rooms of the historic Foster Armstrong House. Tours of the circa 1790’s house will be held Saturdays and Sundays, November 25th and 26th, and December 2nd, 3rd, 9th and 10th from 1:00 – 4:00 pm. This year guests will be greeted by a multitude of gingerbread men in our front keeping room, not to eat, but to look at, smell, and enjoy! Our next room features “The Nutcracker Suite”, a display of nutcrackers will surround a tree which is filled with the characters from the ballet story. A Victorian themed tree will grace our Montague Township Room with old glass ornaments from the past. The “Winter Wonderland”, a dazzling white tree decorated with and the beloved holiday story “The Night Before Christmas” in mind waits in the center hallway. Model railroad trains will be running in the front Armstrong Room with many vintage train pieces and a special silver tree will be on display. Our always popular annual scavenger hunt will be scattered throughout all of the displays for the delight of both children and adults! This year it will be based from the children’s story, “The Gingerbread Man”. There will also be three special musical presentations this year. On Sunday, November 26 from 1:00 - 4:00 pm, the Skylands Dulcimer String Band, a five person acoustical band that plays a mix of Folk, Celtic, Appalachian and Classical music. This is a new special holiday program for our historical society. Students from the Bell Choir at the Montague Elementary School, directed by music teacher Mrs. Jody Taylor, will host their annual performance on Saturday, December 9th at 2:00 pm. Our finale is a forte from the very popular “Harmony in Motion” group who will be caroling on our closing day, Sunday, December 10th from 1:00 - 3:30 pm. Please do not miss these exclusive dates at the Foster Armstrong House! Our gift shop, The Foster General Store, will be open during tours with handmade items for sale from our historic crafters and local artisans. Also available for purchase will be a number of rare and limited edition books from our collection. The Foster-Armstrong House is located on CR521/320 River Road, about 1 mile north of Route 206 and the Milford/Montague Bridge and within the Delaware Water Gap National Recreation Area. Snow dates, pictures, and more information about M.A.R.C.H. 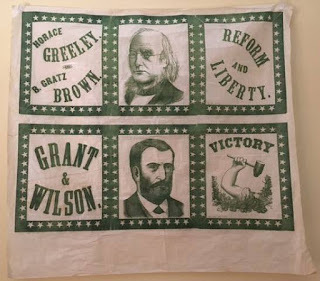 can be found online at www.facebook.com/MontagueNJHistory or by calling 973-293-3106. Bring the kids to the Physick Estate on Sunday for a trolley ride around Cape May with stories and songs led by Mrs. Claus. Then, Santa will greet children with a sweet in the Carriage House. Adults $10 and children (ages 3-12) $8. Trolley rides at 11:45 am, 1:00 pm, and 1:45 pm. Advance reservation strongly recommended. Sponsored by the Mid-Atlantic Center for the Arts & Humanities (MAC). For more information and to reserve tickets, call 609-884-5404 or 800-275-4278 or visit www.capemaymac.org. Learn about invention and the important role Edison played in taking invention from a cottage/hobby activity to a full commercial activity - practiced by all major corporations. Hear Harry Roman, a Thomas Edison National Historical Park volunteer, retired engineer, as well as inventor and patent holder, as he discusses the major role NJ plays in the national invention scene-and all the great inventions NJ inventors have brought into our world. The program runs from 1:00 - 2:00 pm and 3:00 - 4:00 pm and is included with regular admission. Tickets must be purchased at the Thomas Edison National Historical Park Laboratory Complex Visitor Center at 211 Main Street, West Orange, NJ. Admission is $10.00, and includes the Glenmont Estate and the Laboratory Complex. Children under age 16 are free. For more information, call 973-736-0550 x11 or visit www.nps.gov/edis. 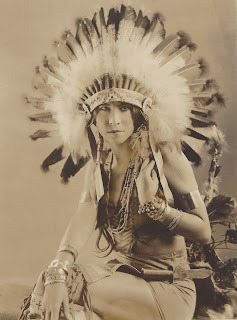 On Sunday from 1:00 - 4:00 pm, the Sparta Historical Society features an exhibit on Princess White Deer, the grand-daughter of a hereditary chief, and the most successful and talented Mohawk entertainer. With a career that spans from Wild West Shows to the Russian stage to Vaudeville, Ziegfeld, and to the footpath of Broadway, Esther Deer was a remarkable and fascinating modern career woman for any century. The Van Kirk Homestead fall exhibit will display an intimate look at her life, career and activism of Native and American causes. This event is free and features an exhibit talk at 2:00 pm. The Sparta Historical Society is located at 336 Main Street, Sparta, NJ. For more information, call 973-726-0883. Morven Museum and Garden's annual Festival of Trees has become a must-see Princeton holiday tradition. Enjoy the museum’s elegant galleries decorated for the holidays and adorned with trees artfully decorated by local businesses, garden clubs, and non-profit organizations. This year’s Festival of Trees museum decorators include: Contemporary Garden Club, Dogwood Garden Club, Garden Club of Princeton, Grounds for Sculpture, Homestead Princeton, KA Signature Interior Design LLC, Keris Tree Farm & Christmas Shop, McCarter Theatre Center, Morven Museum & Garden, Princeton Public Library, Stony Brook Garden Club, Stony Brook-Millstone Watershed, VanDerveer Design, and West Trenton Garden Club. No reservations necessary. Morven is open to the public on Wednesdays through Sundays from 10:00 am – 4:00 pm. Morven Museum & Garden is closed on Christmas Eve, Christmas Day, and New Year’s Day. Admission $10 for adults, $8 for seniors (60+)/students/active military personnel, and children 6 and under are free. Friends of Morven, free. Please note that during the Festival of Trees in December and early January, no formal tours are given, but docents are available to answer any questions. Morven Museum and Garden is located at 55 Stockton Street, Princeton, NJ. For more information, call 609-924-8144 or visit www.morven.org. 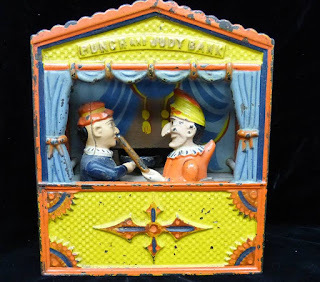 These exquisite mechanical marvels will take visitors back to a time when a penny saved was a penny earned and children were taught the lesson of thrift by a depositing their coins into a toy bank. 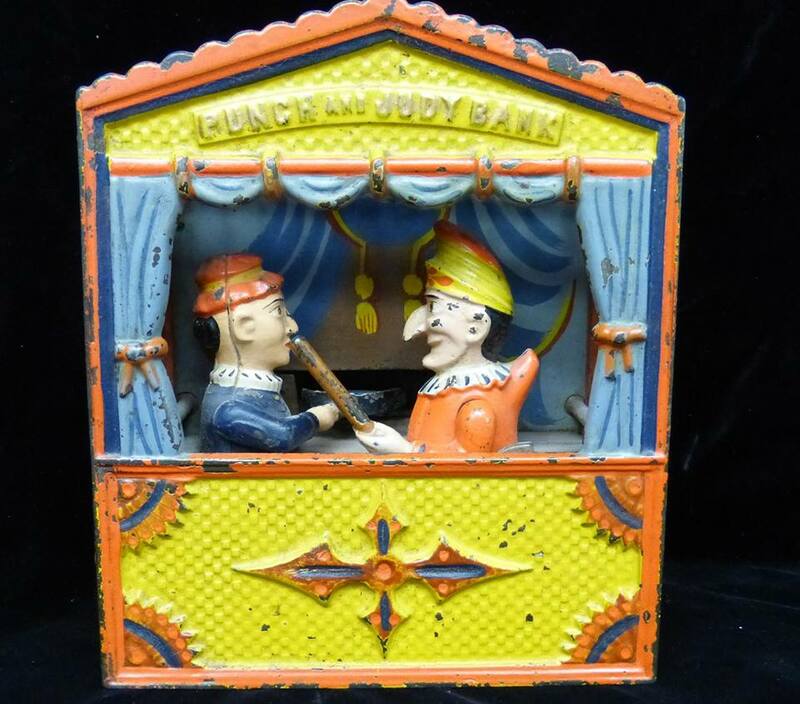 Now highly collectible, the metal banks on display feature the “newest” technology of the 19th and early 20th centuries. Banks on display offer a child’s view of the Victorian world. Banks depicting animals, magicians, birds, people and places are depicted throughout the exhibition. In addition to the collection of banks visitors will also be able to feast their eyes on a hand-crafted scale model of Cape May’s Queen Victoria. This dollhouse, completely electrified and filled with miniature period-piece furniture, is a delight to see. “Bank on It!” may be enjoyed at The Museum Monday through Friday, 9:30 am - 3:30 pm. This exhibition, made possible by the generosity of John and Sarah Turner, is free and open to the public. The Museum of Cape May County is located at 504 U.S. 9, Cape May Court House, NJ. For more information, call 609-465-3535 or visit www.cmcmuseum.org. 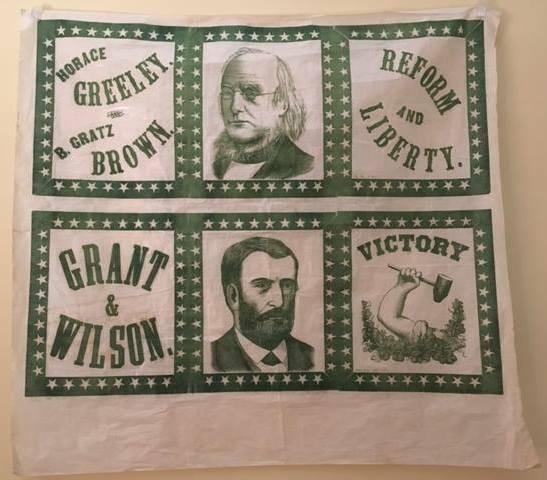 A Presidential Collection: W. Parsons Todd Collects Washington, Lincoln, and More!